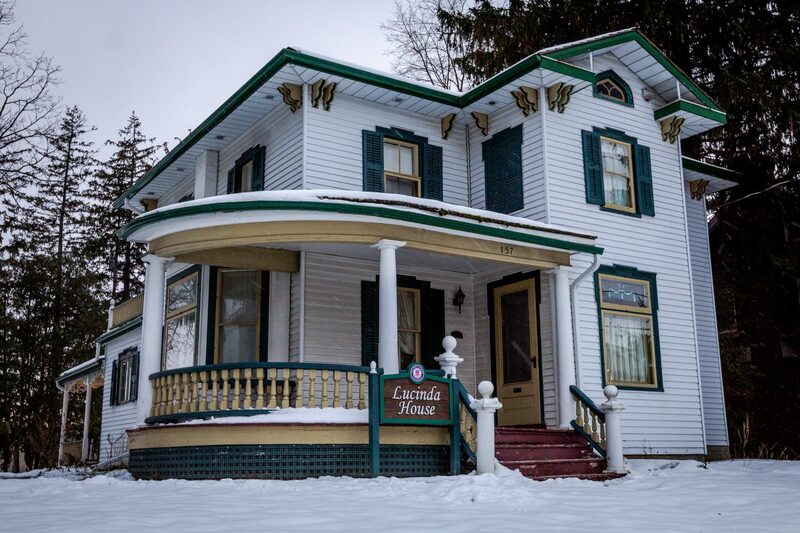 On Tuesday, Nov. 20, it was announced that the Nadjiwan Kaandossiwin Gamik Indigenous Centre will be moving locations to the Lucinda House, just down the street from its current location on Albert Street. “We are finding that we are growing and we are not able to meet our space needs, and Jean Becker, our senior advisor of Indigenous initiatives, had been speaking with administration about potentially finding news places,” said Melissa Ireland, the manager of the Indigenous Student Centres at both the Waterloo and Brantford campuses. “Last year a grant proposal was written to the Lyle S. Hallman foundation, and after it was approved, so we are receiving money from them, and also the Students’ Union kicked in some money and also the GSA to be able to have the budget to renovate the space,” Ireland said. Lucinda House is a heritage building that was built in 1818 and gifted to the university in 1994, and its current use is for special events or a residence for guests of the university, and on the odd occasion can be used for summer residence. “We are working with Two Row Architect – it is a company that is based out of Six Nations, so Ohsweken – we have some Indigenous architects working on the project; we’ve had two meetings so we’re still in the early days of what it’s going to look like,” Ireland said. Though the space will be moving down the street, many logistics are going into the renovation of the heritage building to accommodate for students as well as preserve the history in the building, and the name of the centre may be changed as well due to the move in location. Student success is a priority for all faculty at Laurier, but many Indigenous students are the first in their families to go to university, and it is their first time moving away from home, so the support the Indigenous Students’ Centre can give to these students who may be struggling with foreign territory is essential at this institution. “It will be the Indigenous Students Centre, but we named our space Nadjiwan Kaandossiwin Gamik in a traditional way, so we presented tobacco to an elder to gift us that name to the centre,” Ireland said. The project is set to be completed by Winter 2020 as it will have about a 12-month renovation period. As the physical construction has not yet been started, there is no guarantee as to when the new centre will be open. The centre not only offers support for Indigenous students at Laurier, gives them a place on campus to embrace who they are and has programming specific to providing a home away from home, they also have an aim for the new centre to be a place for non-Indigenous students and faculty to go to and receive education and exposure. “A big part of what we do is that from admissions to graduation, we support Indigenous student success; we have an Indigenous admissions policy, we have an Indigenous recruitment and retention officer that goes into urban and reserve communities and recruits First Nations, Inuit, Metis students to want to come to Laurier,” Ireland said. “Students can self-ID on Loris. Not everybody chooses to self-ID, but we have roughly 500 students at our campuses including Kitchener. Often people think Brantford has more but that’s not the case; there’s about 280-300 students in Waterloo, 120 or so in Brantford and then the remaining are at our Kitchener campus,” Ireland said.